During the life of a building, chimneys may need repair, be required to act as flues for different fuels or appliances, or become redundant. 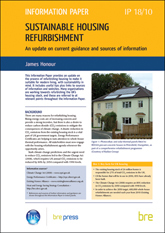 This Guide shows what to look for when assessing chimneys for repair, re-use or decommissioning. 6 pages.